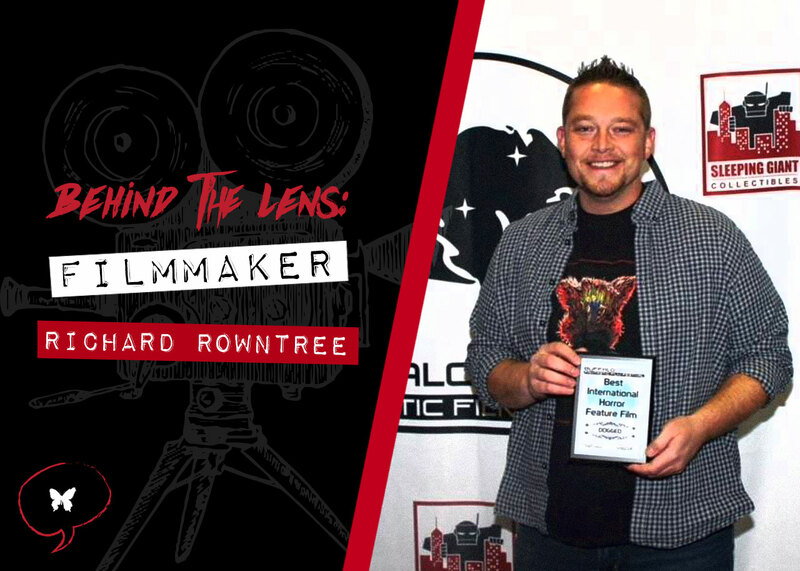 We talk with talented filmmaker Richard Rowntree about his debut film Dogged, scheduled for widespread release on July 9, and his new film Nefarious. 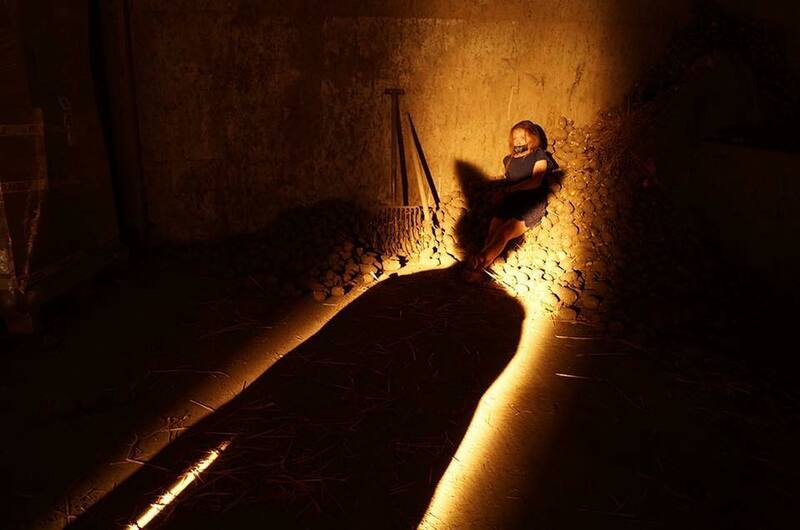 I previously had the pleasure of chatting with up-and-coming UK filmmaker Richard Rowntree about his brilliant folk horror film Dogged (reviewed here) during the film’s highly successful festival run. Now that the film has received widespread distribution — scheduled for release by Left Films on DVD and Digital in the UK, USA, Canada and Ireland on July 9th — I was able to catch up once again with writer/director Rowntree to ask a few more questions about his impressive debut film. For those who may not have seen ‘Dogged’ during the films festival release, what can they expect? Dogged is a folk horror film – not an out-and-out horror that most audiences might expect. It relies heavily on the drama and the horror of the landscape and environment – so it’s more of a psychological type horror. If you enjoyed films like The Wicker Man (2006), Kill List (2011), A Field in England (2013) things like that, then you should definitely check it out! The film was made with a very low budget, but we tried to be as ambitious as possible in terms of making it feel like a much more expensive film. The performances are great, and the soundtrack too. So if you’re into something a little less mainstream, and something that will leave you thinking after you’ve watched it, then you should enjoy it! 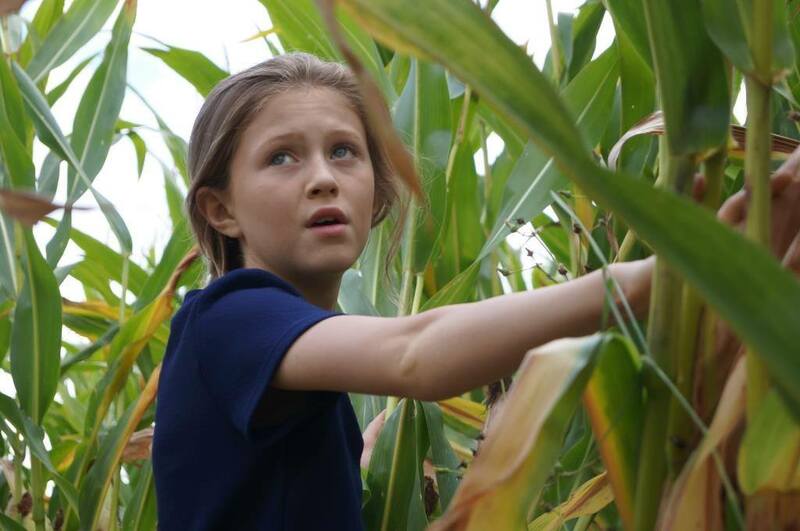 The film has gained a cult following after being shown on the festival circuits where it won several awards and praised by the critics. What is it about ‘Dogged’ that you think has made it resonate so well with audiences? I think the fact that as low budget, first time feature film makers we tried to make something cinematic, and a little out of the ordinary really helped it to stand out. We focused heavily on the characterization and don’t rely on the usual low budget horror tropes to hook the audience in. The reception the film’s received from audiences has been really great – and we would always preface anyone thinking of watching it by making them aware of what to expect. If you only watch horror for gore, jump scares and lots of stuff shot in the dark, then this won’t be the film for you! It’s amazing though, I have had several people contact me months after they’ve seen it to tell me that they’re still thinking about it – and that’s obviously a great feeling in the modern world where everything, especially entertainment, is so throwaway. People also seem to like the fact that we’ve made a film in this tiny sub-genre rather than going for a slasher film or found footage or zombies or whatever for our first feature. The fact that we did it for love of filmmaking and love of the sub-genre – we’re not trying to make a name for ourselves – we just want to make great films, and we don’t tailor our work to fit into what distributors deem to be the “horror demographic”. 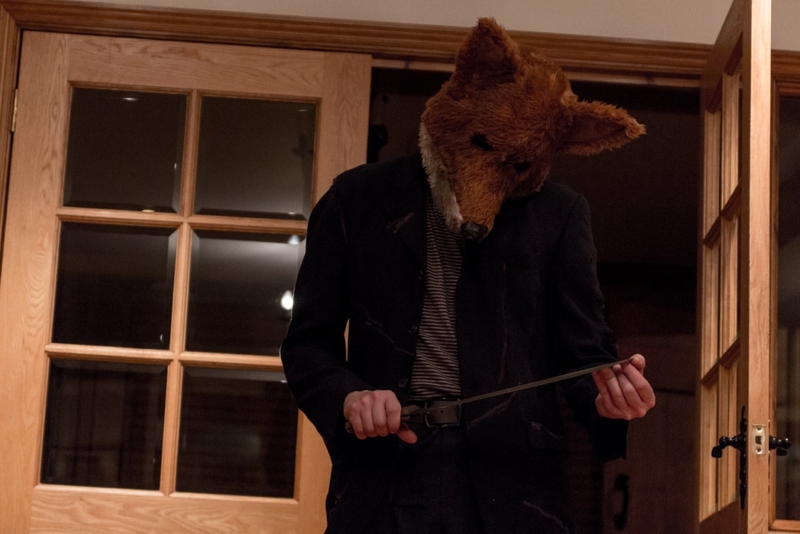 People who have followed the film will recognize the animal masks which are worn. What were your inspirations for the design of the masks? We wanted to make the masks reminiscent of native and woodland animals that you would find on the whole. There’s a couple in there where that doesn’t apply, but that was the aim. Deciding which ones to use was based on a cartoon from my childhood called The Animals of Farthing Wood (1993-1995) (which also inspired the name of the island in the film). Then the hierarchy of how the animals are assembled in terms of the men underneath and their roles in the story was based on the Beatrix Potter stories. The badger and fox are these kind of horrific, baby-eating beasts – so they were obvious choices for the two main antagonists. The second in command is this kind of guy who gets swept up in things and is in awe of the badger, so it was an obvious choice to make him the sheep who blindly follows. Another character is the swan, and he’s this kind of beautiful, innocent guy who is complicit in some terrible deeds, but doesn’t really fit with it. So he’s the first one to publicly remove his mask in defiance once he discovers the truth of what’s been going on. Looking back at the film now, is there anything you would like to have done differently? Yes, definitely! I think as an artist (I always hate the way that sounds, I’m not pretentious at all! ), you never go back and look at your work and feel fully happy with it. There would be something terribly conceited and arrogant if you did. There’s certain things I would have done differently for sure, and hindsight is a wonderful thing. However, I will say that anything I would change are things I personally did…not what anyone else did. I think everyone did a fantastic job with their own departments from a crewing side, and the performances are all in exactly the right tone. So, it’s more down to me learning as I go — and growing as a director. Are there any areas of ‘Dogged’ which you would like to explore more as a sequel or spin off? Ha ha, yes, this is something that’s come up quite a lot of with audiences and reviewers! We’ve discussed it at length, and I think that maybe a series exploring each of the main characters as individuals would actually work really well. I think that’s testament to the original script and how well rounded each character is. There’s nobody shoe-horned in during the film as simply a plot device – they all come across as having full, rounded lives and histories. But if we do anything further with the story, then it will be some way off, as we have our next couple of films in the pipeline. Dogged fits in to the sub-genre of folk horror, which has continued to gain popularity in recent years. What are your top five folk horror films? I think I kind of already mentioned a few of them – and that’s because they were such a big influence on Dogged. I’d say as personal preference: The Wicker Man (the original, not Nic Cage and his horrendous bees! ), Kill List, A Field in England, The Witch (2015) and Witchfinder General (1968). 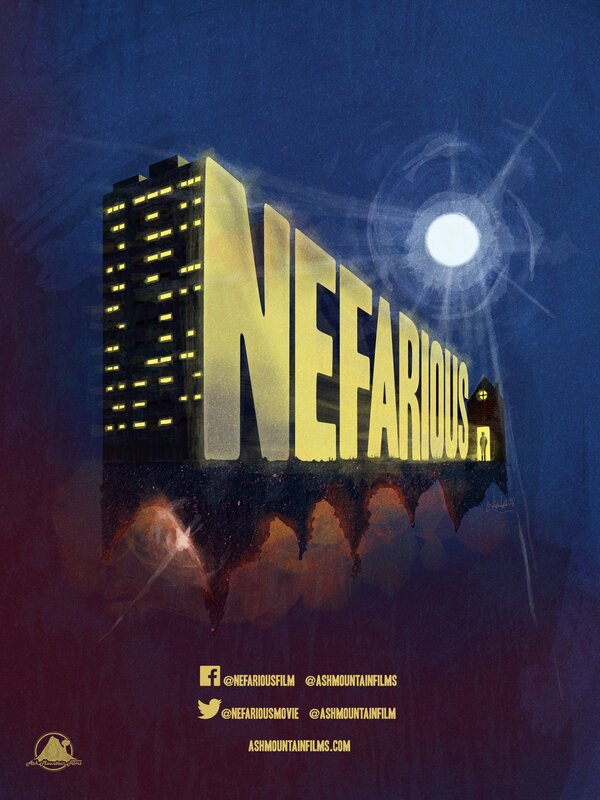 Moving onto your next project, you have just completed a crowd funder for Nefarious. Can you tell us a little bit about that project? Yes, so Nefarious is a very different movie. This time it’s a home invasion horror/thriller. The idea kind of came from our producer’s de-brief about Dogged. We discussed things that had worked well, things that hadn’t, how we’d do things differently, and so on. Something that came out of that meeting was how naively ambitious we’d been with the production of Dogged – 22 principle cast, multiple locations all over the south of England, a lengthy script and so on. So, with the next film, we wanted to try and address those issues, as well as some of the criticisms that Dogged had (mainly in that there wasn’t a ton of gore, jump scares and darkness!). That wasn’t because we felt we needed to, but because it piqued our interest in how we could incorporate those things into another character-driven script without cheapening our ambitions and integrity. So, we decided to limit the locations, cast and so on. We’re really excited with the script, and we can’t wait to start shooting in September. 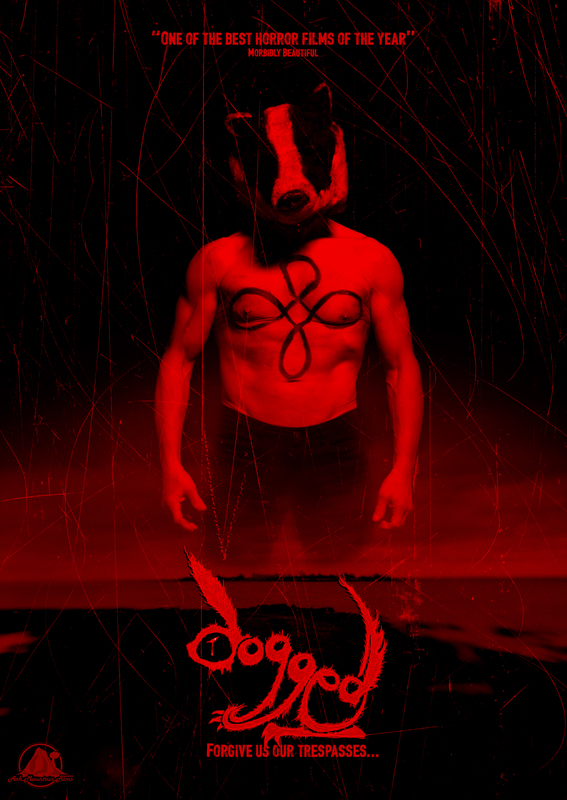 Dogged will be released by Left Films on Dogged DVD & Digital in the UK, USA, Canada and Ireland on 9th of July, although you can pre-order the film through Amazon ahead of the release here: http://amzn.to/2rG1C6I. Lover of all things horror and driven by a creative mind. Contributor for articles, reviews and interviews.